(Bloomberg) -- The year 2019 has been pretty good for securities markets. So good, that assets with returns which would be impressive in another year are being overlooked. For a look at global rally in fixed income, click here. 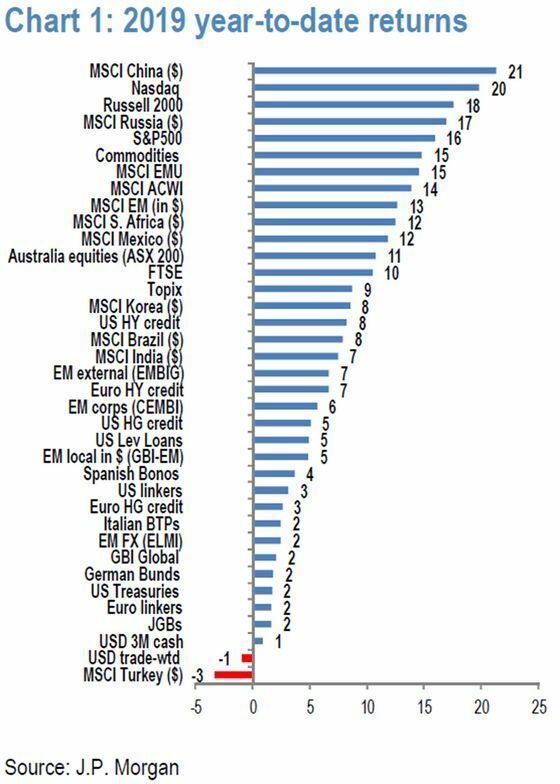 To favor European stocks, investors would need a bullish view on European growth, a bearish view on bund yields and a bullish view on Italian sovereigns, he said -- all of which JPMorgan has forecast. The underperformance of the Argentine peso highlights concern about the outlook for fiscal consolidation after October 2019, if President Mauricio Macri isn’t re-elected or succeeded by a moderate, Normand said. For the euro, while the problem is the region’s challenges in returning to above-trend growth and near-target inflation, Normand said it’s possible catalysts for both currencies could come in the second quarter of the year. Among commodities, gold has been an underperformer as it has barely risen against the dollar. “Given that lower real rates are part of the Fed’s strategy to run a hotter economy, we think gold’s uptrend has stalled temporarily rather than ended for the cycle,” Normand said. 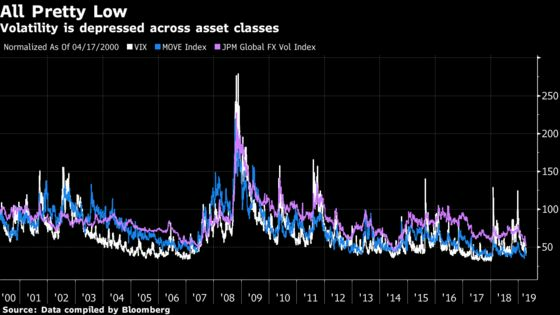 Then there’s volatility, the “least-loved” market of all, according to Normand, who says implied levels are below the fifth percentile for half of assets.